This is the very first post for a brand new series. I’ve been working on teaching colors to Smiley Man for several months now and we did a bunch of color activities and ended our color series with a huge link page for teaching colors. Now that Smiley Man knows his colors so well. I am ready to start a new series. This series will be all about teaching shapes. 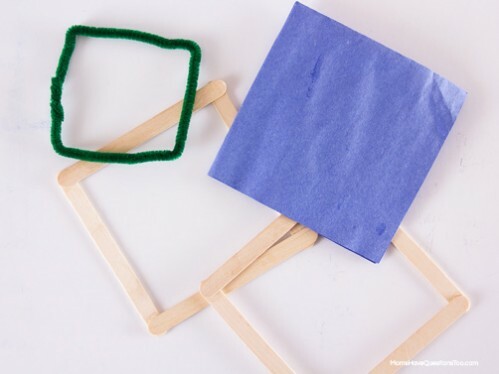 We’ll do several activities to teach shapes, discuss the age to teach shapes, what shapes kids (specifically toddlers and preschoolers) should learn, and fun stuff like that. I’m starting off the series with a very basic activity to teach shapes. 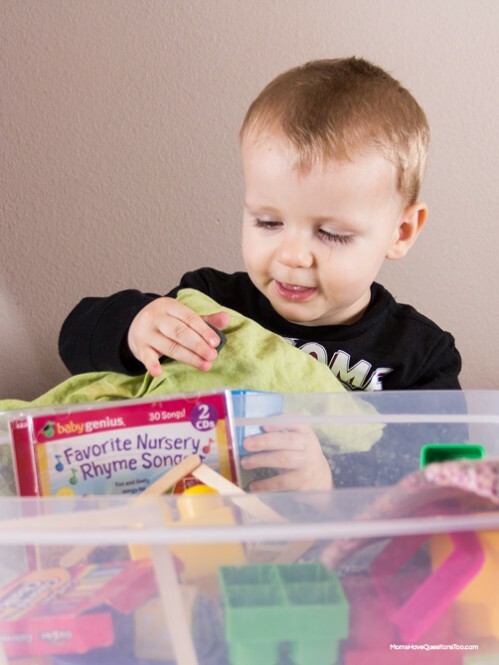 A sensory bin! 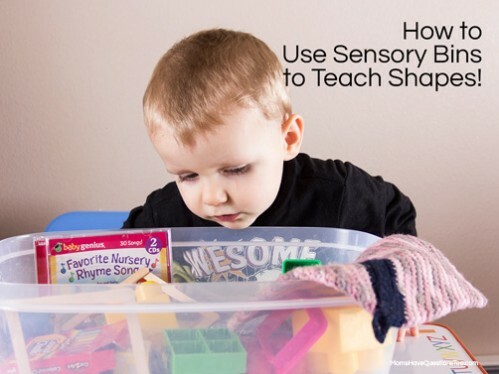 Actually, a different sensory bin for each shape. I started with a sensory bin filled with circle objects. I knew this would be a great first shape to teach because Smiley Man LOVES balls. Of course all of the circle objects in his sensory bin made him think of balls. After circles, I did a square sensory bin. 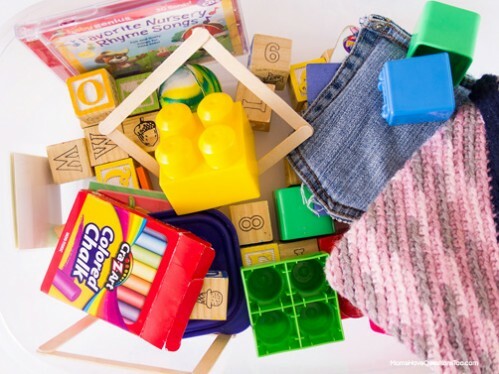 It was a little bit more difficult to find objects for the square sensory bin, but I got pretty creative and found a bunch of really great things. After I found a bunch of things, I felt like the bin needed a bit more to it, so I set about making some more squares for the sensory bin. This sensory bin was a huge hit with Smiley Man. He loved discovering all of the square objects, holding them, touching them, and just enjoying them. I let him play with this whenever he wanted, but I made sure to spend at least a few minutes looking through it with him and pointing out all of the squares in the bin. If you are wondering what shapes your toddler or preschooler should learn, here are the shapes I will be teaching Smiley Man throughout this series: circle, square, triangle, rectangle, star, diamond, oval, heart.